Will proposed plans solve problems like this? Rye Town Council meets next Monday December 10 and the 11th item on the agenda is Civil Parking Enforcement (CPE). Last weekend East Sussex County Council (ESCC) were in the Town Hall showing off their plans for CPE. So you might not need to be there at the Town Hall at 6:30 pm, but perhaps you should be there. Rother District Council (RDC) who run some of Rye’s car parks were consulted by ESCC, but I am not aware that the RDC formally consulted Rye Town Council or anyone else locally – and local businesses have given an emphatic thumbs down to the proposals. Clearly the Dalek-like parking meters in a historic conservation area have not gone down too well, and other comments have also been made following last week’s Opinion article. These include the issue of residents’ parking permits (in only two places currently), and whether these should apply only to full-time residents and only to one vehicle. Concern has been expressed that this is only a revenue raising exercise (charges could raise millions of pounds in some towns) and no doubt recent experiences in the Camber car parks raise issues about some of the companies involved in parking charges. Those experiences in Camber seem also to have raised questions about how the systems, and fines, will work – and how they could be challenged. It seems both ESCC and the RDC are eager for as much revenue as they can get from motorists, but they are neither working together or separately to come up with serious answers to Rye’s parking problems. Some residents, if they have a front garden, have turned it into a driveway in the absence of a garage, but even some of these proposals have to be opposed where traffic problems might arise – such as the cottages near the Queen Adelaide pub and the level crossing. There is also something clearly wrong when Military Road is becoming increasingly cluttered with parked cars and yet the RDC Gibbet Marsh car park is frequently all too empty. 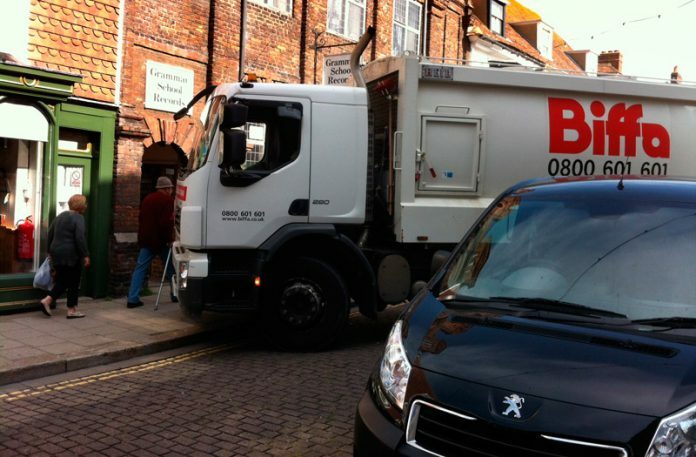 A joined-up solution is needed to Rye’s “lack of parking” problems and neither the county nor the district council are facing up to this. Instead they are focused solely on revenue. Perhaps the Town Council should organise a visit for them all to see how Sandwich has, apparently successfully, tackled the issue of historic streets and coping with parking needs. All we have at present is little more than the replacement of the police with meters and wardens. But perhaps the town council can bang a few heads together. It is election time next year! Previous articleWhat is ESCC’s ‘core offer’? Disk parking schemes seem to work well in other parts of the UK. No expensive unattractive hardware to install and maintain, and a nice simple scheme which also brings business (the sale of the cardboard disks) to local shops. Applicable to locals and visitors alike – only the pricing might change. Yes, it needs policing, but then so does every other scheme.